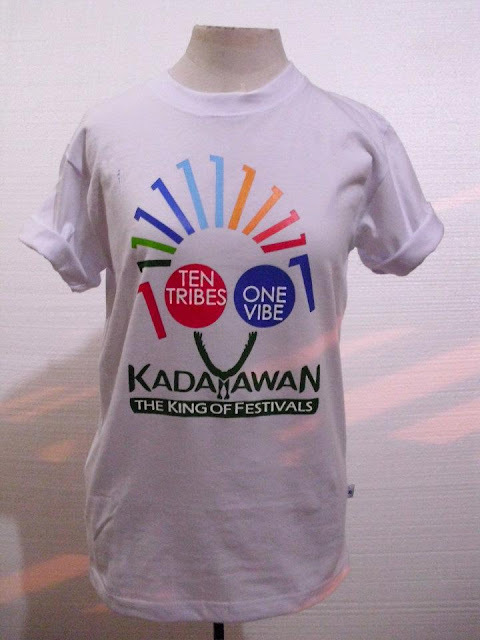 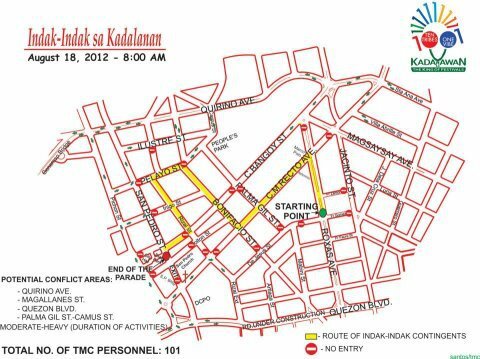 Davao City is now on full blast on its biggest and most spectacular festival this August - the Kadayawan Festival 2012 with this year's theme, Ten Tribes One Vibe. The word "Kadayawan" is derived from the friendly greeting "Madayaw," from the Dabawenyo word "Dayaw" which means "good," "valuable," "superior" or "something that brings good fortune." It is a celebration of good life, a grand thanksgiving for the year's blessings of bountiful harvest of flowers, fruits and other agricultural produce, and to honor the city's richness and diversity of artistic, cultural and historical heritage. 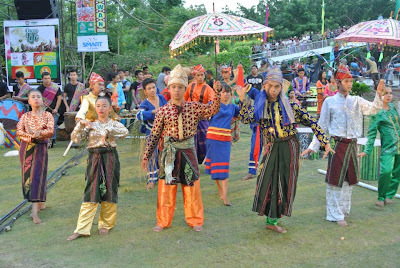 The festival is celebrated every 3rd Week of August every year. 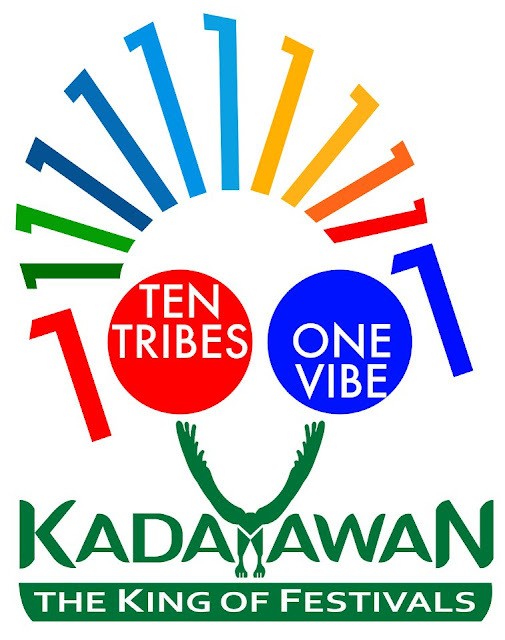 Officially started last August 3, the opening of Kadayawan Festival 2012 was led by Mayor Sara Z. Duterte along with the 10 deputy mayors each representing the 10 tribes of Davao City and joined by local government officials, the private sector, civic leaders and Davaoeños in welcoming guests during the ceremonies of the "Panagtagbo" (convergence). The ceremony signaled the month-long celebration of the 27th Kadayawan sa Dabaw with Thanksgiving Mass officiated by Archbishop Romulo Valles, D.D. 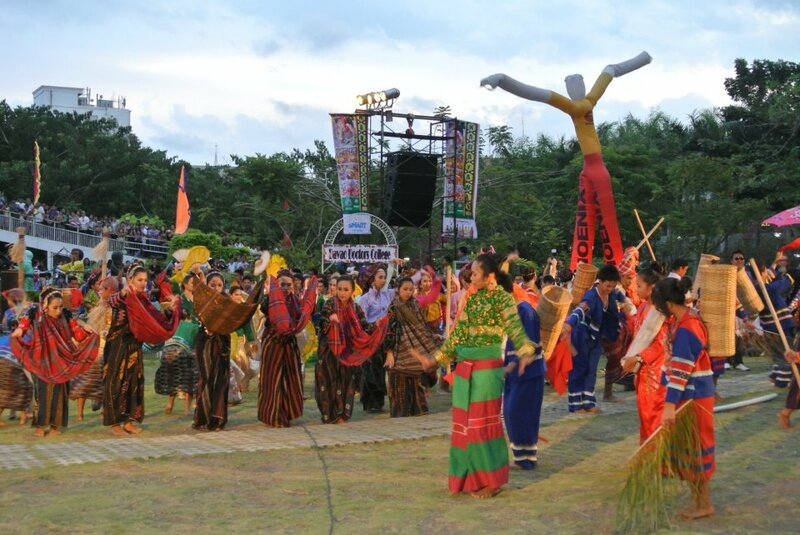 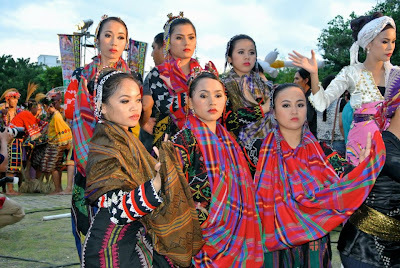 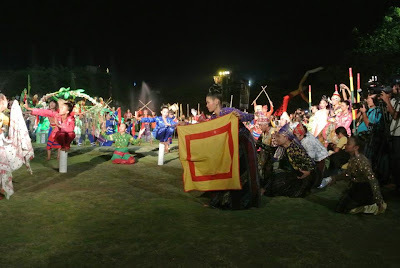 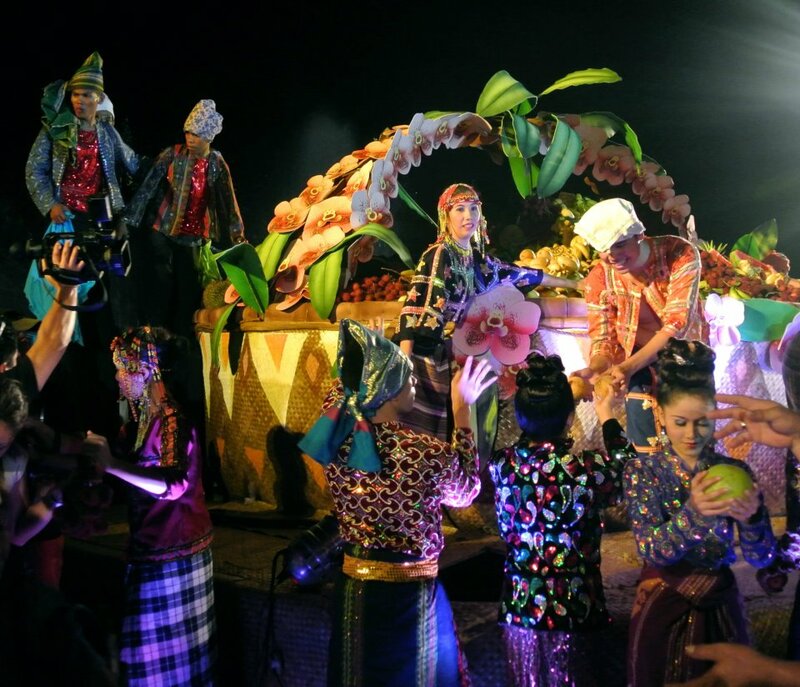 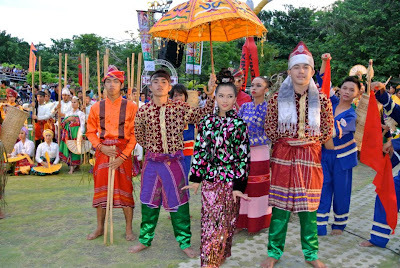 The 10 tribes of Davao City which consist of the Ata, Matigsalug, Ovu-Manuvo, Klata-Djangan, Tagabawa, Tausog, Maguindanao, Maranao, Kagan, and Sama gathered at the grand lawn of the Davao People's Park in their colorful regalia and featured their respective indigenous music, dances, and rituals complemented by an abundant array of tropical fruits and flowers. 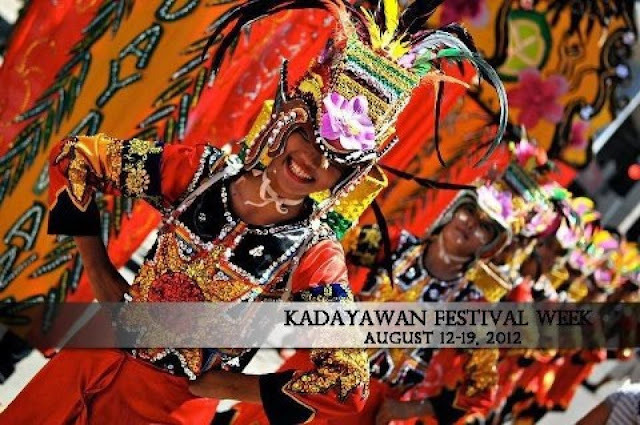 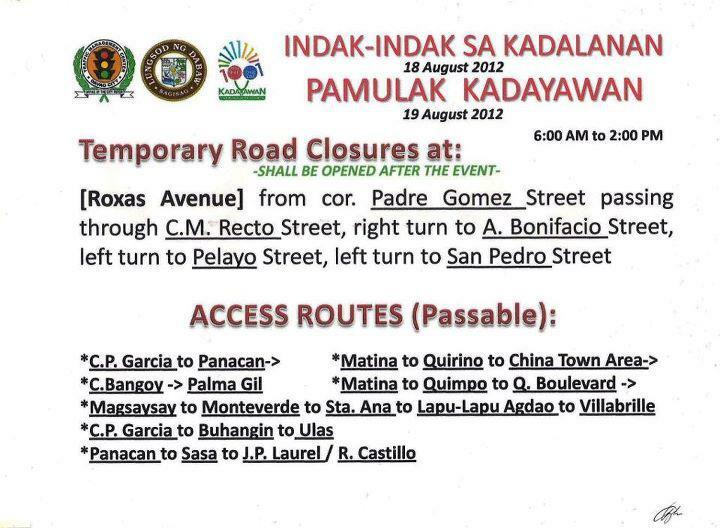 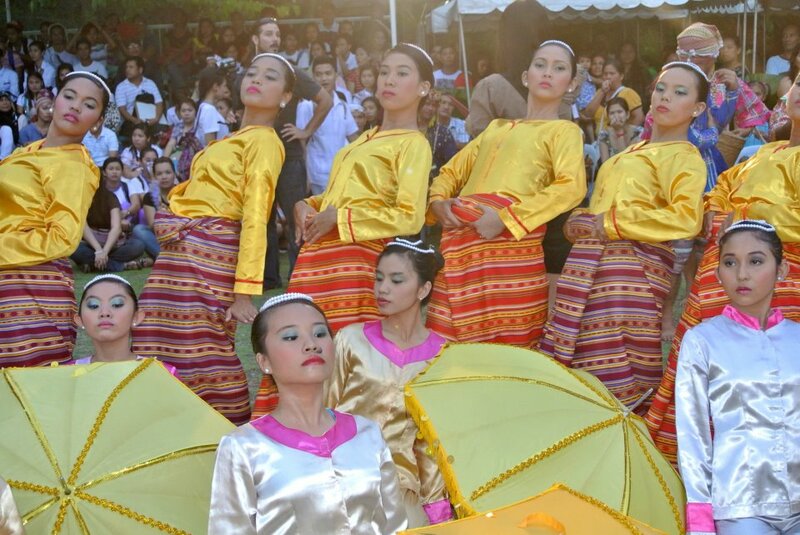 The month-long celebration which is slated from August 17 to 19 will be highlighted with the Hiyas sa Kadayawan on August 15 - a beauty pageant where young and stunningly beautiful ladies from the different tribes in Davao City compete for the prestigious title; a lively and vividly colorful street-dancing competition on August 18 called, Indak-Indak sa Kadalanan which features the different tribes of Davao City wearing their traditional tribal garbs; a Floral Float Parade - an amazing display of skillfully designed floats of flowers parading through the city on August 19; and the Exhibits and Trade Fairs which showcase the city's tourism products, native handicrafts and services; and a full array of other fun-filled activities of nightly street parties, cultural performances, sporting events and fun competitions, and concerts. 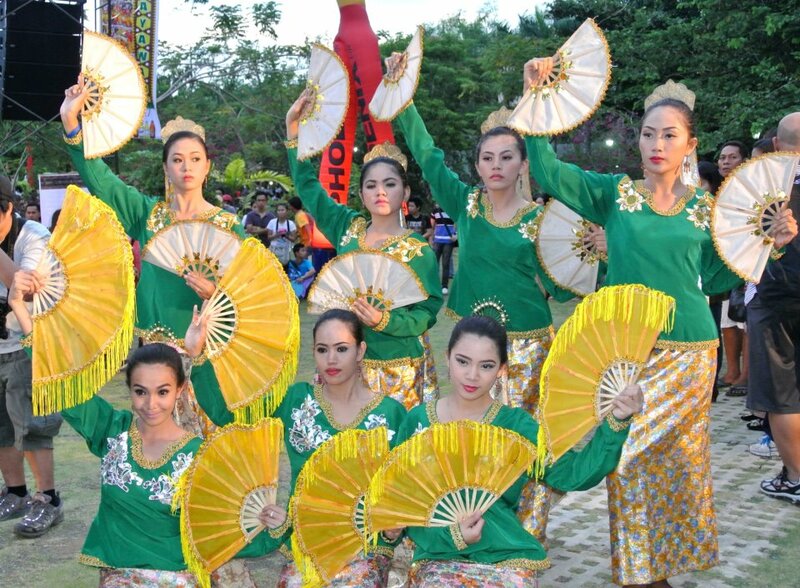 The city government of Davao and the Duaw Dabaw Festival Foundation which is one of the official partners of this year’s Kadayawan celebration have increased the amount of prizes of P200,000 in the Indak-Indak sa Kadalanan street dancing. 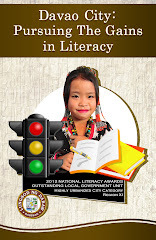 In the open category, first place will get P500,000 cash prize, P400,000 for second place, P300,000 for third, P200,000 for fourth, P100,000 for fifth, and 10 consolation prizes of P50,000 each. 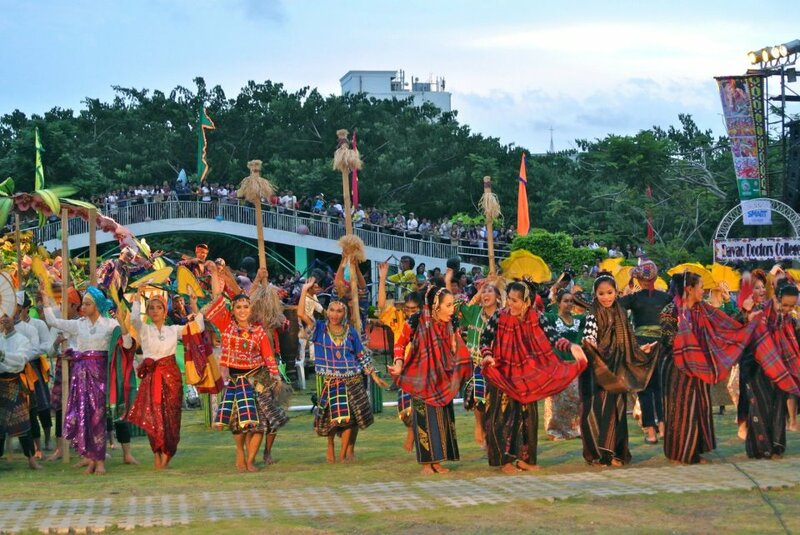 For the Davao-based category, first prize will get P500,000 while P400,000 for second, P300,000 for third, P100,000 for fourth, P75,000 for fifth, and 10 consolation prizes of P30,000 for each contingent. 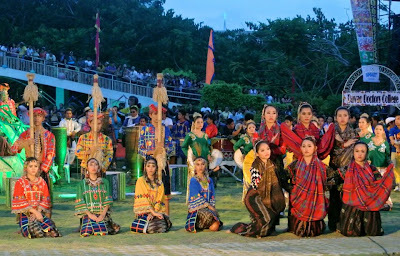 The event also features the 10 Hiyas sa Kadayawan candidates: (L-R) Emerita Bogcal (Ata Tribe), Jean Ali (Maguindanao Tribe), Jamayla Angela Cabale (Tagabawa Bagobo Tribe), Hannah Catucag (Kagan Tribe), Belle Colleen Bato (Bagobo K'lata), Elmia Hussin Sailadin (Sama Tribe), Analine Mansabid (Matigsalog Tribe), Jehan Kartini Andan (Tausug Tribe), Shenley Caba (Obu Manuvu Tribe), Ajema Malatus (Maranao Tribe). 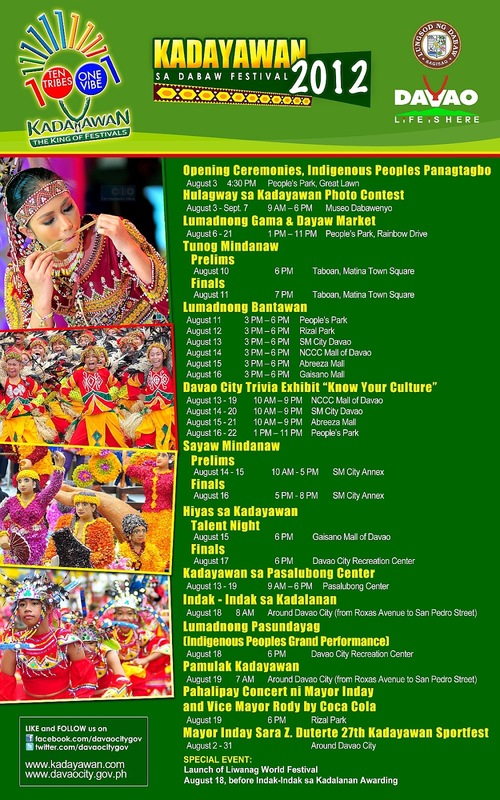 Hiyas sa Kadayawan Talent Night is scheduled on August 15, Wednesday, 6PM at Gaisano Mall of Davao, and the Finals will be on August 17, Friday, 6PM at the Davao City Recreation Center. 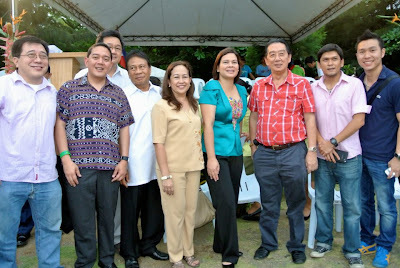 Tropical fruits in season and a wide variety of vegetables overflow from the largest fruit basket in the Philippines - the Bounty Basket - containing more than 6 tons of mixed native agricultural products: five varieties of coconut, six varieties of bananas, three varieties of "rambutan," two varieties of avocado, three varieties of pineapples, two varieties of "santol", mangosteen, mangoes and jack fruits; including vegetables such as squash and eggplants. 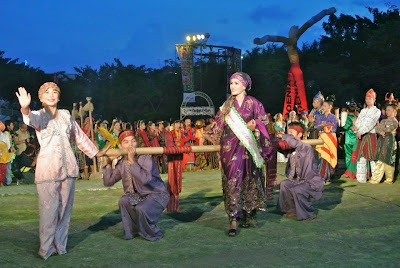 The basket measures six feet in height and sixteen feet in diameter which took three trucks and six multi-cabs to haul. 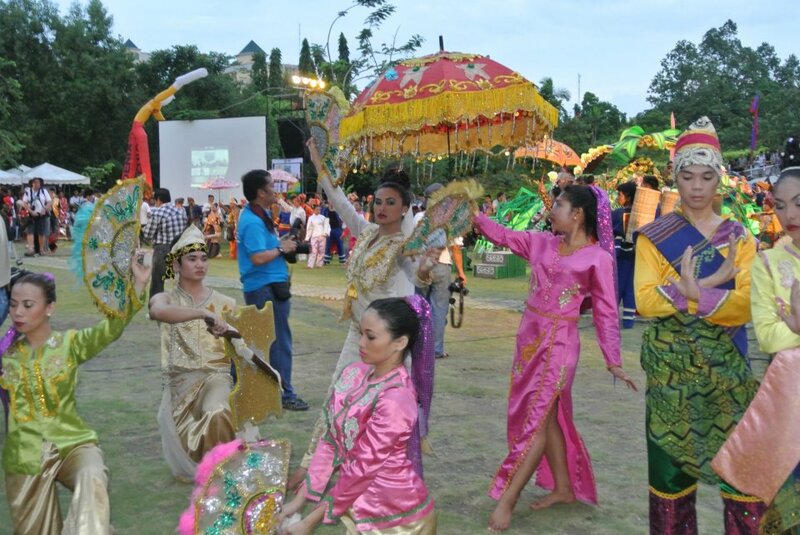 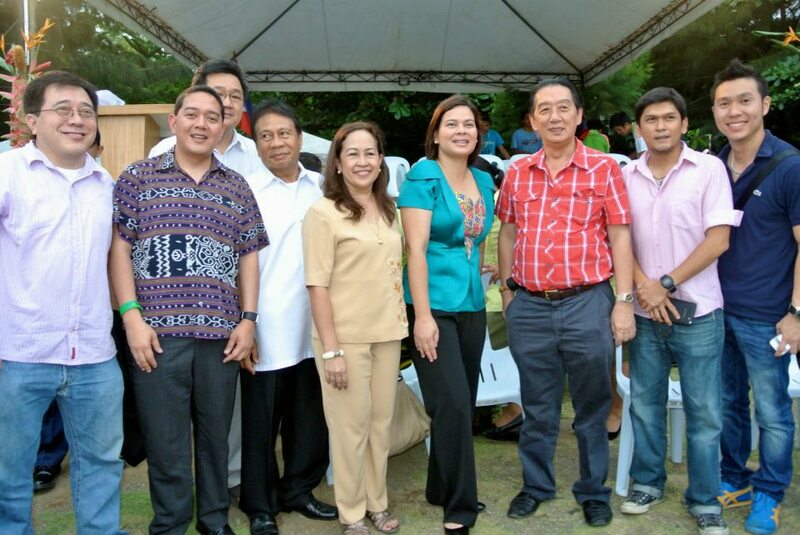 The unveiling of the Bounty Basket symbolizes Davao City's rich harvest. Some of the official events include: Lumadnong Gama and Dayaw Market, Lumadnong Bantawan, Tunog Mindanaw, Fluvial Parade, Sayaw Mindanao, IP Grand Performance, Hulagway sa Kadayawan, Kadayawan Sports Fest, and the three core events. 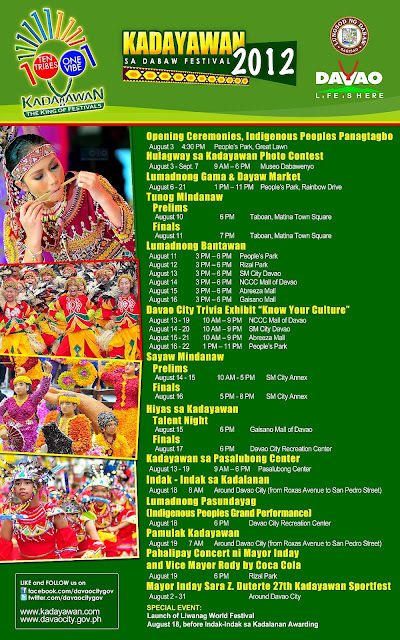 For more information, please contact the Davao City Investment Promotion Center, and City Tourism Operations Office with offices at Magsaysay Park Complex, R. Magsaysay Avenue, Davao City, Philippines at Telefax +6382 227 2880. 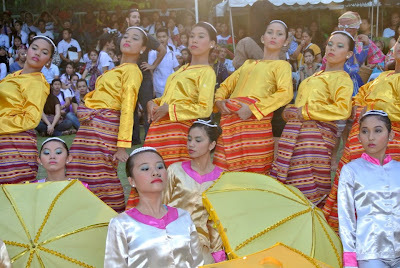 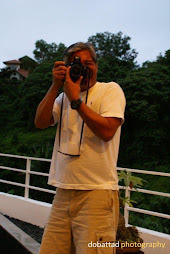 Images courtesy of Mr. Art Boncato thru tj_brewed of SSC-Davao.